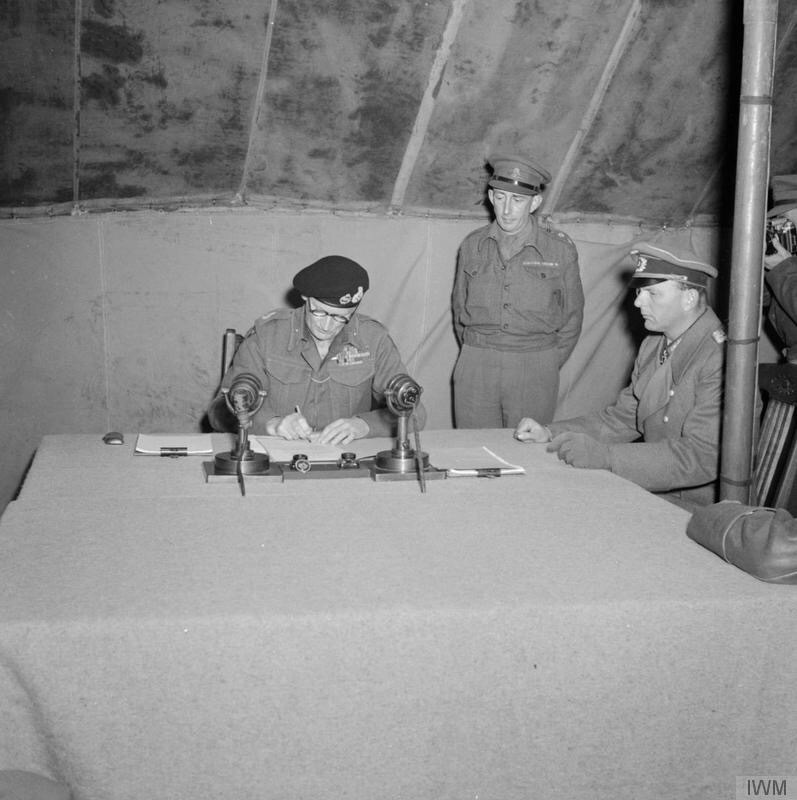 On this day in 1945 Field Marshall Bernard Law Montgomery signed the declaration of surrender of German troops in Holland, Northern Germany and in Denmark bringing to an end the fighting for his 21st Army Group. Monty was the first Allied commander to bring the Germans to the table for an unconditional surrender, and events at Lūneburg Heath were later followed by the surrenders at Reims on 7th May and at Karlshorst in Berlin on 8th May, which we now commemorate as Victory in Europe Day. This memorial replaces an original wooden one, later replaced by a stone monument which existed when the Brotish Army of the Rhine was garrisoned here. That memorial is now at Sandhurst in the United Kingdom.